Sister Maureen McDonnell, OP (Dolorosa) grew up on a farm in north-central Illinois, near Ottawa, the eldest of five children of John and Margaret (Hanley) McDonnell. Her father was a farmer of corn, soy beans, and hay. Her mother was a teacher prior to marriage. She attended Catholic schools in Ottawa, and graduated from Ottawa’s Marquette High School. Sister Maureen received a B.A. in English (1967) at Edgewood College. She received a M.A. in Communication Arts from the University of Notre Dame (1976) and an MA in Pastoral Studies from Loyola University in Chicago (1990). She entered the Congregation of the Most Holy Rosary and made her religious profession as a Dominican Sister of Sinsinawa in 1964. Sister Maureen was a teacher at the elementary and secondary levels for 11 years in various parts of the Midwest and thirty years in college ministry in four difference locations. In 2005, Sister Maureen began a 2-year Spiritual Guidance Preparation Program at the Siena Center in Racine, which has led her to meeting one-on-one with people for the purpose of spiritual guidance. From 2006 to 2014, she was involved with the spiritual community known as Wisdom’s Well. 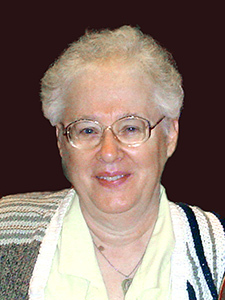 Sister Maureen has also been active in such organizations such as Pax Christi-Madison, Wisconsin for Peace and Justice, School of the Americas Watch, Habitat for Humanity, and Wisconsin Network for Peace and Justice. She is currently involved with the Catholic Worker community in Madison.